Today we have our first guest blogger, Joey Spry. 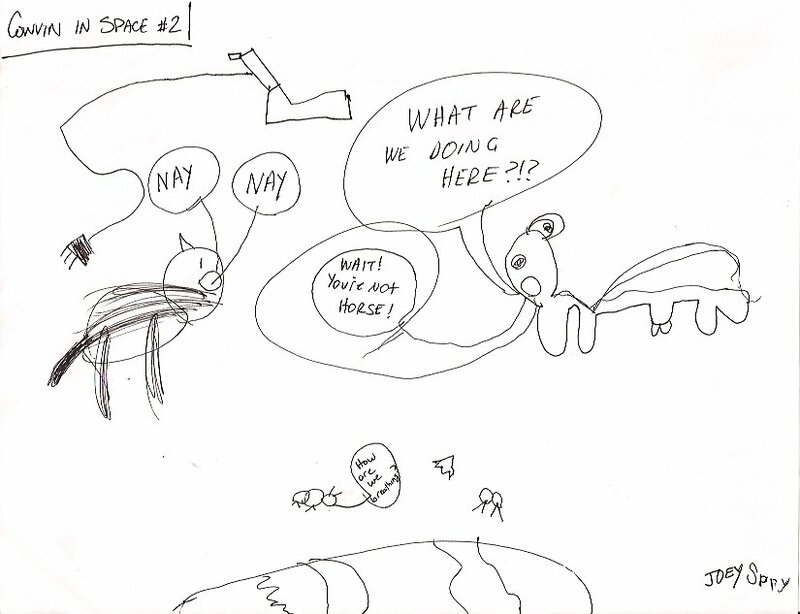 This is Joey’s rendition of Cowvin in Space. Happy Birthday, Joey. That’s my boy!!! I am glad that his one-day youth pastor is already having such a good influence on him.